250 cinemas are hosting dedicated autism friendly cinema screenings this month right across the UK in partnership with Dimensions, a national not-for-profit support provider for people with learning disabilities and autism. ODEON cinemas also show an additional screening for older audiences one Monday a month. This month’s film is Justice League on Monday 20th November at 6pm and is showing at NINE cinemas listed in the ‘notes to the editor’ section below. Vue cinemas show their autism friendly screening on the last Sunday of every month. Their next showing is Captain Underpants on Sunday 26th November at 10.15am. These partnerships allow Dimensions to advise on adjustments for people with autism and sensory differences to enjoy watching films in an environment conducive to their needs and for parents to enjoy the trip knowing they are in an inclusive and welcoming environment. Dimensions began the project in August 2011 with just ODEON cinemas – since then the screenings have grown in popularity, welcoming around 300,000 visits to date. Cineworld, Vue and Showcase cinemas have also since joined the partnership. 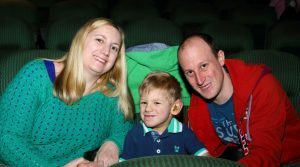 Nick Barratt, Head of Behaviour Support at Dimensions said: “Autism friendly screenings are so important for both families and individuals who can feel excluded from the traditional cinema experience because they find the experience too stressful due to sensory overload. “The screenings enable them to watch a wider variety of films, more frequently, in an environment conducive to their needs. The initiative is part of a wider Dimensions campaign to create more autism friendly environments around the UK.